I WANNA KILL YOUR BOREDOM MUSIC!!! During the summer of 2012, they started performing as Goodbye Fujiyama in Tokyo prefecture. In 2014, they settled on the formation of four piece band. They started performing actively at live events and festivals nationwide. In 2014, they were awarded with “RO69JACK 2014”. 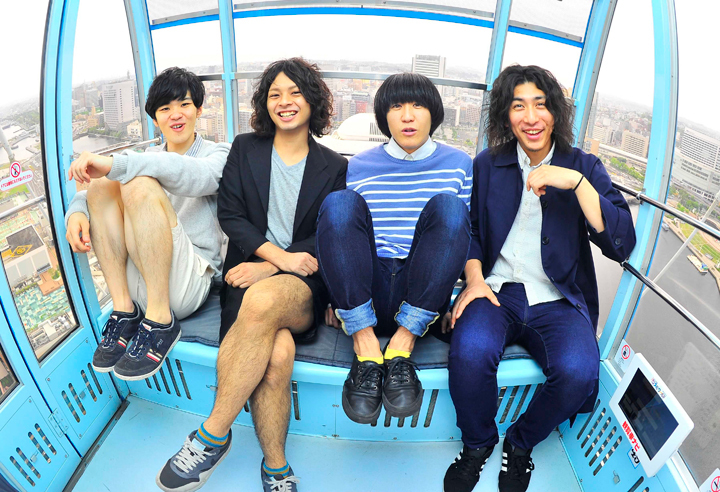 They also won Yohito Teraoka Award and performed at SUMMER SONIC 2014. Some of their performances had entrance restriction due to the popularity and their solo show was sold out. In 2015, they were chosen as “RISING★STAR”. In September , they released an EP titled “Sweet Seventeen” from Ladder Records. They are highly acclaimed by the critiques and industry people. The band is evolving day by day.